IDBI Direct is a full service broker which provides 3-in-1 account feature. Lets have a detailed understanding of IDBI Direct review, IDBI Direct Demat Account, IDBI Direct Brokerage Charges, IDBI Paisa Builder Trading Platforms & other important features. IDBI Direct is a financial service provider catering to the needs of retail, institutional and corporate clients. IDBI Capital (or IDBI Capital Market Services Limited) is a subsidiary of IDBI Bank Ltd. It’s an online retail Broking and investing portal of IDBI Capital launched in January 2006. IDBI Direct offers online trading in Equities, F&O, Mutual Funds and IPOs and it also has membership in NSE and BSE India. IDBI Direct is a 3 in 1 service provider with its IDBI Bank A/c, IDBI Demat A/c and IDBI trading A/c. IDBI Demat Account is an easy free service that is needed to maintain your scripts in digital form and online. You can link any other savings account with your trading account but the process gets easier with IDBI bank account. But to avail 3-in-1 account facility, Demat account should be maintained with IDBI Capital only. 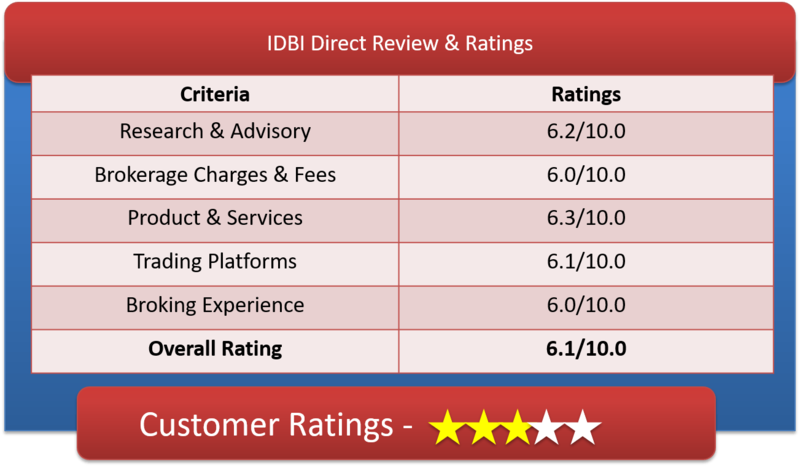 Customer care at IDBIDirect is found to be satisfactory, although not best of the breed. IDBI Direct supports its client through emails for enquiries, suggestion, information and demat related queries. Toll free no and phone call is also available during working hours only. Call and trade or approaching Relationship Managers in 13 Branches in India is also an option available to you when opted for IDBI Direct client. Flexi Gold Brokerage Plan: a prepaid brokerage plan where you are required to pay a Subscription fee at the beginning. This Fee is refundable to the extent of the brokerage generated by the client during the Offering Period of the Plan. The plan duration is from 6-12 months. The brokerage can be as low as 0.05% for equity and .01% for intraday and future if you think your trading volume is high. With Flexi – Gold scheme you are entitled to free research calls, transactional sms, mobile trading facility, dedicated Relationship Managers & Call N Trade facility. The Brokerage for equity ranges from .35% to .05% which falls in low brokerage range as compared to other 3 in 1 brokers like ICICI (.55%), HDFC (.50%), SBI CAP (.50%). Brokerage for future and Intraday trade ranges from .04% to .01% which is again medium to low range when seen with Sharekhan (.1%) Religare (.05%) and almost similar to Edelweiss (.50%-.015%). Option trade will cost you at Rs 60/- to Rs10/- which is cheaper as compared to other full service brokers like Indiabulls, sharekhan, Religare all charging Rs 100 per lot. 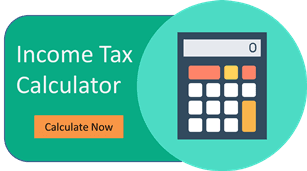 Why Open IDBI Direct Demat Account? Comprehensive technical analysis and charting tool with multiple indicators. Flexible Brokerage Plans for you. Multiple Investment offerings from IDBI Direct includes Equity, Derivatives, MF, IPO, NCD, Fixed Income Products. The stock broking house provides terminal based, Web based and mobile app based trading platform to its customers. This is the trading software that can be downloaded easily. For trading in equity shares, mutual fund and IPOs you can use Power Classic. IDBI Direct’s basic features are integrated Bank, Demat plus Trading account; access to all the reports and live order status put forward by you. It is a web based trading platform of IDBI Direct. It is designed especially for frequent traders. The rich features give you easy to use interface, live quotes without delay, multiple watch lists, market depth info, single key function and many more. Paisa Pro is an EXE-based desktop software. It is especially designed for active traders. Its main features include real time order tracking, customized market watch, advance alerts, detailed charting tools and indicators. This software for smartphones is designed by IDBI Capital that comes handy when you are on-the-go. Trading and tracking your investment can be done with ease with features like live streaming quotes, real time market orders, track multiple exchanges, etc. The Broker still needs to work on customer service, trading platforms and transparency in brokerage and other charges. Then only it can compete with other full service 3 in 1 brokers such as ICICI and HDFC. IDBI is an average Broker with pleasant overall offers.